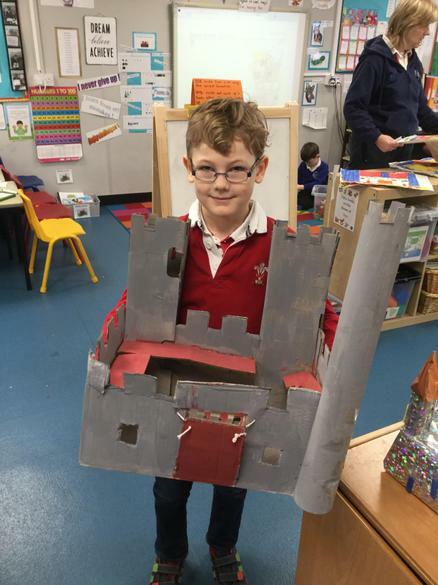 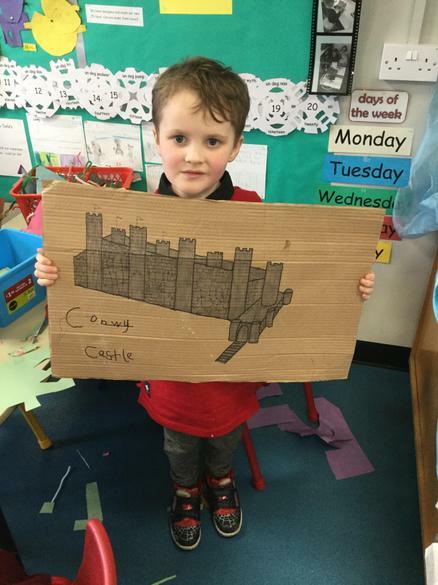 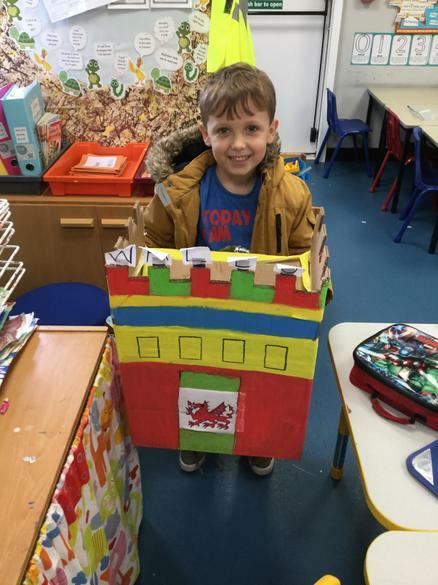 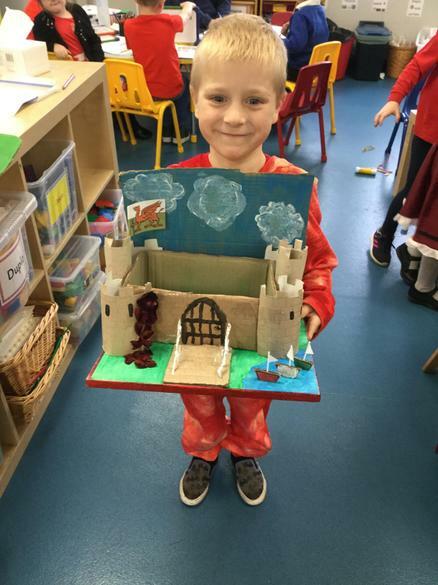 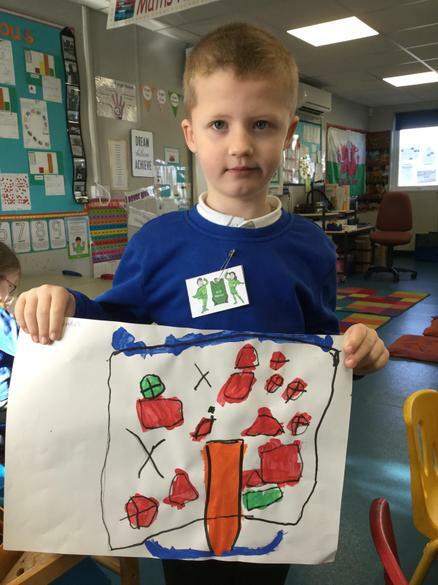 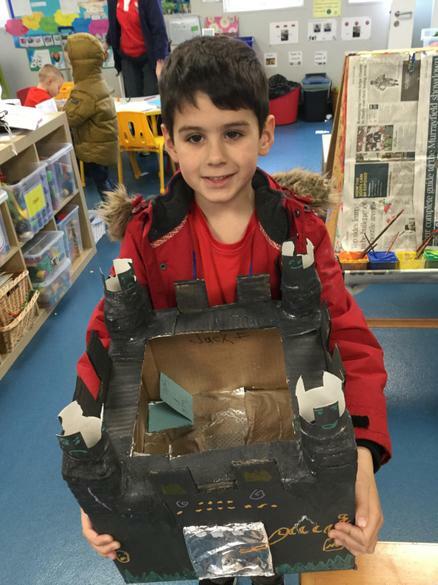 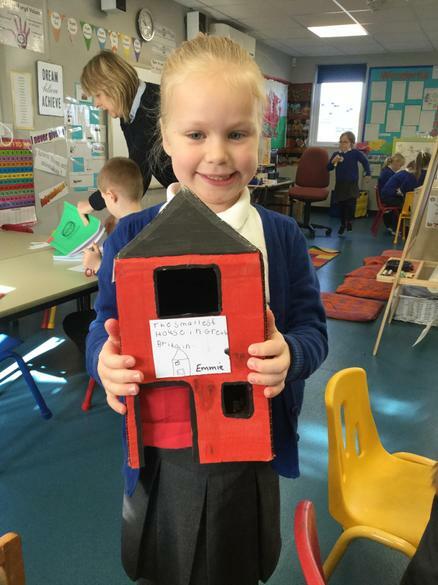 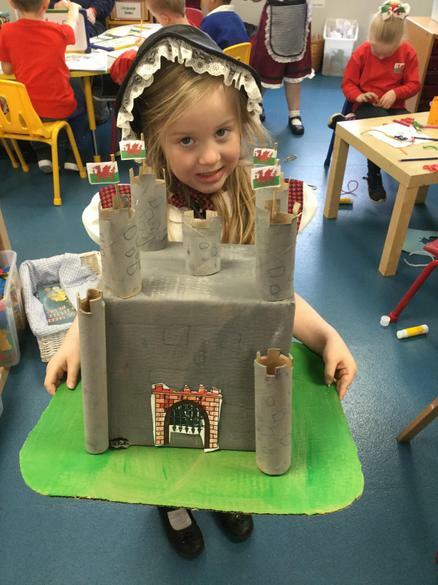 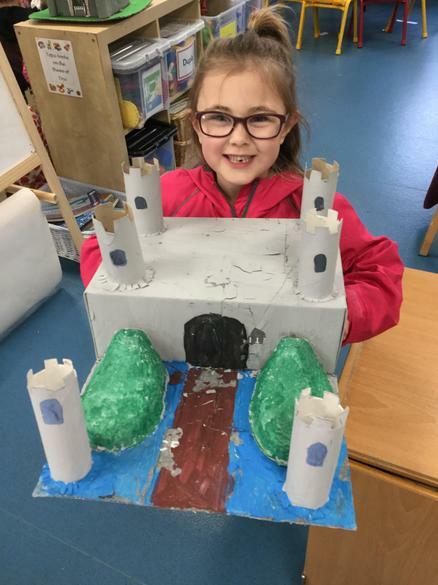 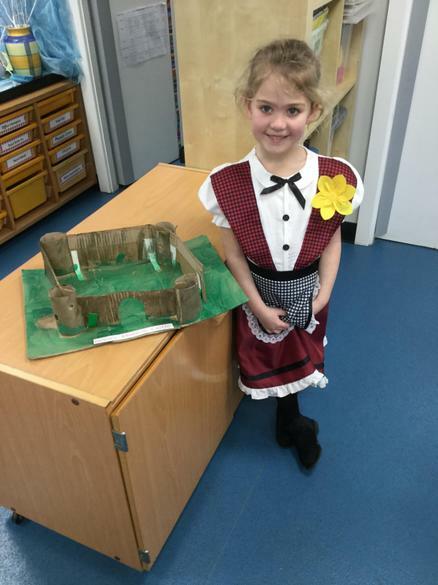 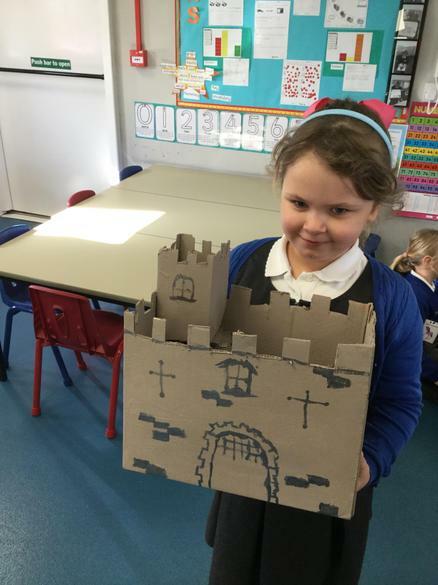 We made models and paintings of famous Welsh castles. 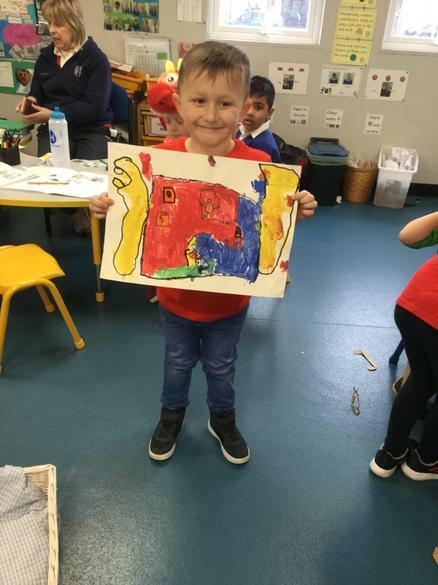 Wonderful art work completed today. 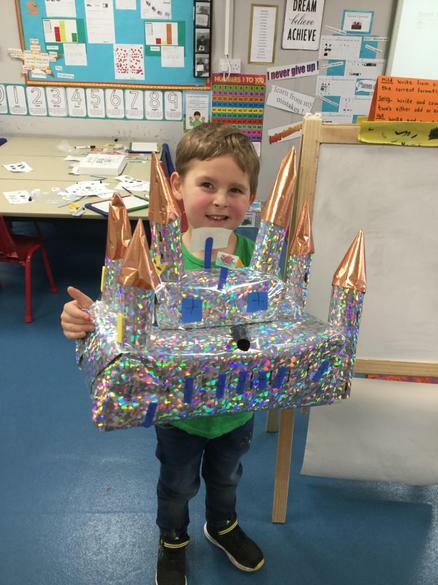 Christmas Fun Day- We coloured, glued, cut, painted, glittered.....the list goes on! 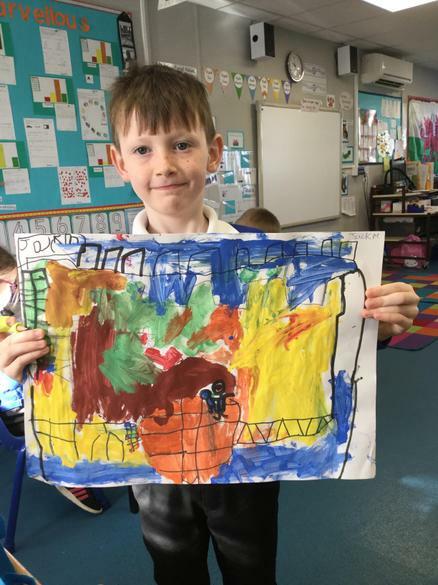 Our wonderful leaf art work. 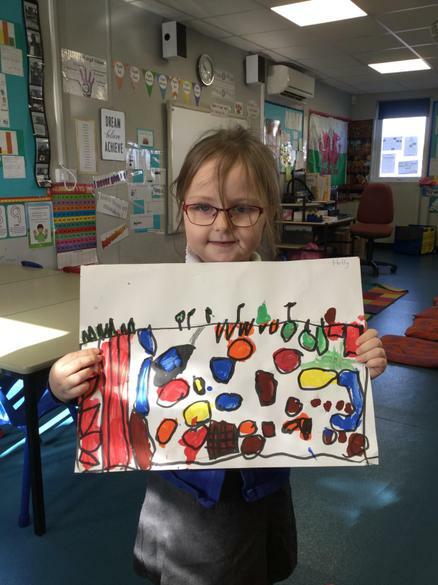 We collected the leaves on our woodland walk. 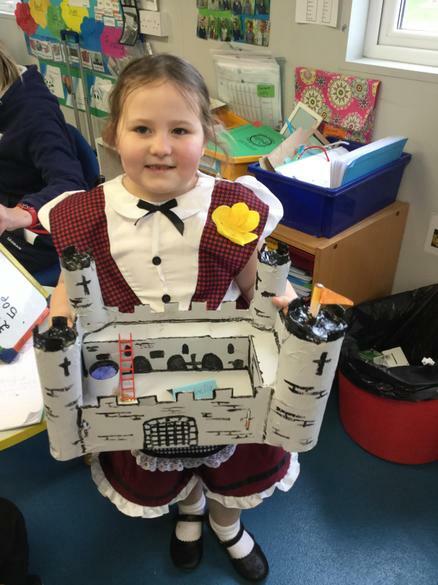 Being creative using different objects and using our imagination.